Last weekend I celebrated my 15 year school reunion with 50 odd past school mates and their partners. It was so great to catch up with everyone again!! I made a caramello mud cake for the occasion. Covered with a Cadbury Milk chocolate ganache, yum!! The most time consuming was the school emblem. I hand made this emblem from fondant, piping the detail with royal icing. 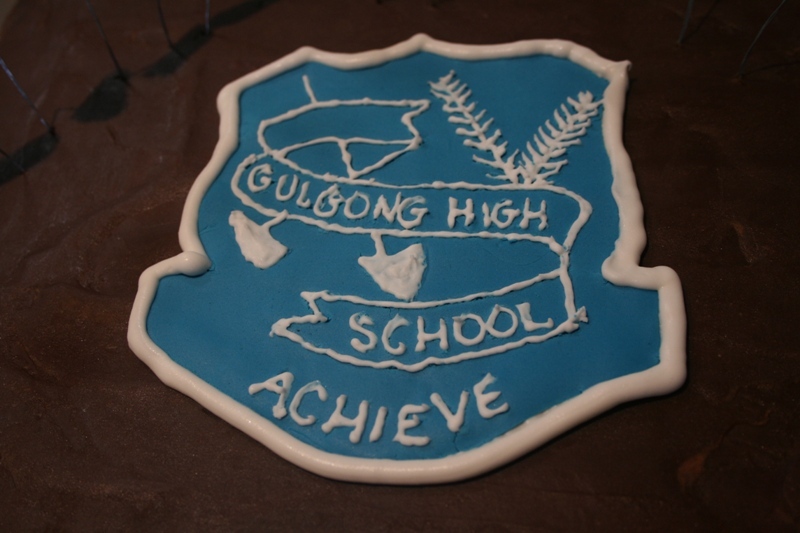 The lettering was also made from fondant.